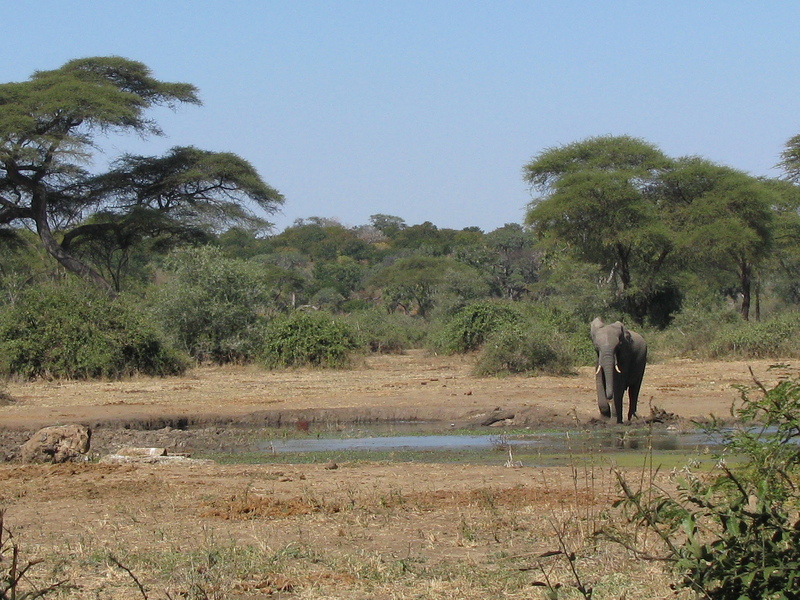 At The Elephant Valley lodge in the Chobe region in Botswana there was a watering hole not too far off from the grounds. While sitting outside having lunch I watched this elephant get a drink. It was one of the best lunches I’ve ever had. At first I was pretty content to take in the scenery, then the elephant approached and it made my day. I really need to get back to Africa! This entry was posted in Africa, Travel, Travel Photos and tagged Africa, Botswana, Chobe Region, Elephant Valley Lodge, Elephants, Nature, Photography, Photos, Travel, Travel Blog, Travel Journal, Travel Photo, Travel Photos, Wildlife. Bookmark the permalink. I think Elephants are the most amazing animal ever. Beautiful photo! Thanks! It was amazing to watch this animal in the wild. very cool! how far away was the elephant? It was about 50-70 yards away. It must have been wonderful to see such an animal in the wild. Elephants are such a delight! I love elephants…so intelligent and caring. That does sound like a wonderful place to have lunch! And yes, let’s go to Africa! I’ll let you know when we start planning the next trip to Africa! That would make my day, too! Africa seemed to have cast a ‘spell’ on you – perhaps one day, i will get to experience it for myself. It has cast a spell on me. I can’t imagine that many people would not fall for its beauty. I hope you go! How exciting to have an elephant enter into your photo at the right time! Great shot! I really like that tree on the left also. How wonderful to see an elephant in the wild. Elephant!! I’m so jelous of your adventures! It was a real treat…almost couldn’t believe it myself! Nice post. This post is awareness to people to save Elephant to keep the forest green. I agree…nature needs our help! This is the first time I can recall seeing a shot of a “small” elephant! Great composition! I never thought of an elephant being “small.” Great observation.